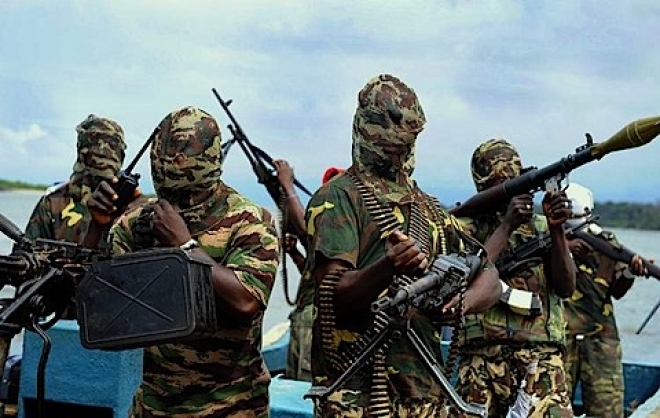 One of the militant groups that have emerged since renewed militancy in the Niger Delta began, the Ultimate Warriors of Niger Delta, on Saturday said it had nothing to lose if oil production is disrupted in Nigeria. The militant group, considered as an affiliate of the rampaging Niger Delta Avengers, described the alleged double speak of the Federal Government on dialogue with the people of the region as worrisome and inciting. “The subject matter of the discourse centred around the forthcoming dialogue with the Federal Government on the resolution of the current Niger Delta crisis and the imperative for the entire Niger Delta region to unite and speak with a single voice under the single umbrella of the MEND Aaron Team 2 dialogue and peace initiative led by Mr. Odein Ajumogobia, SAN,” the statement said.